Ferrari's failure to follow through on its pre-season testing promise with victory in the season-opening Australian has left fans, and even the Italian team itself, searching for answers. Few believe that the speed shown in testing was not real, as there would be little incentive for a big team to go for such glory runs. So, as the investigation continues at Maranello to get to the bottom of why it was beaten by both Mercedes and Red Bull, here we look at some of the factors that almost certainly contributed to what happened. 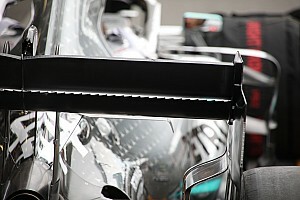 As we know, F1's aero regulations changed for 2019, simplifying the design of the front wing in order that it reduces the amount of 'outwash' that can be generated. This makes the cars less sensitive to the wake created by the car ahead. The principle idea here is that the wing design should allow drivers to follow each other more closely without significant performance drop-off. Two schools of thought arose to deal with these regulation changes. Ferrari took what is perceived to be the more aggressive approach in an effort to recover as much of the outwash effect as it could, enhancing flow down the rest of the car. In Melbourne the team discovered that a bumpy, high-downforce street circuit was actually not ideal for its design, as it simply couldn't crank on enough load to balance the car front-to-rear. 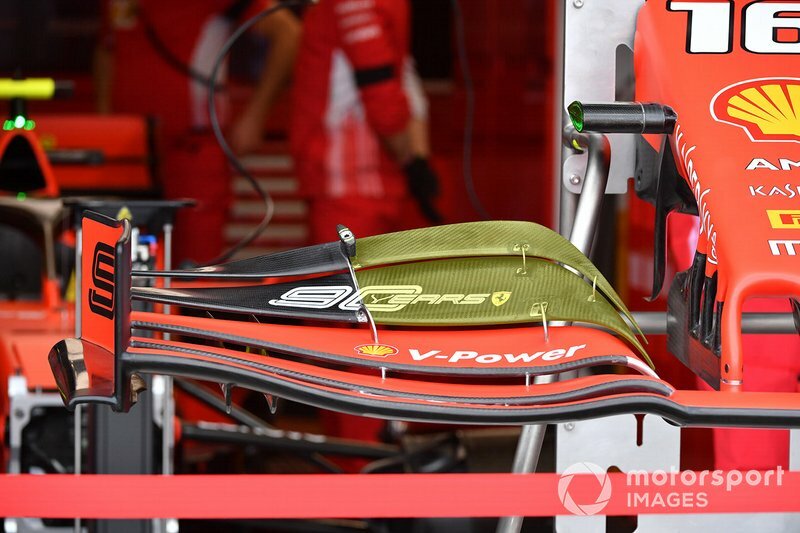 The make-up of Ferrari's front wing means it has quite a narrow portion of the wing devoted to downforce creation (highlighted in yellow), whilst the outermost section correlates with the position of the wheel behind in order to drag flow across and around its surface. This creates the outwash that will improve the performance of the car downstream. The inboard part of the uppermost two flaps can be adjusted to trim the amount of downforce that can be generated and balance the needs of the driver. As this can only be changed when the car is stationary it makes for a critical decision based on the tyre it is running at the time. In fact, it's probably a good reason why Alfa Romeo's even more visually aggressive design has more wing apportioned to the adjustable flaps and a less elegant outwash section (arrowed). 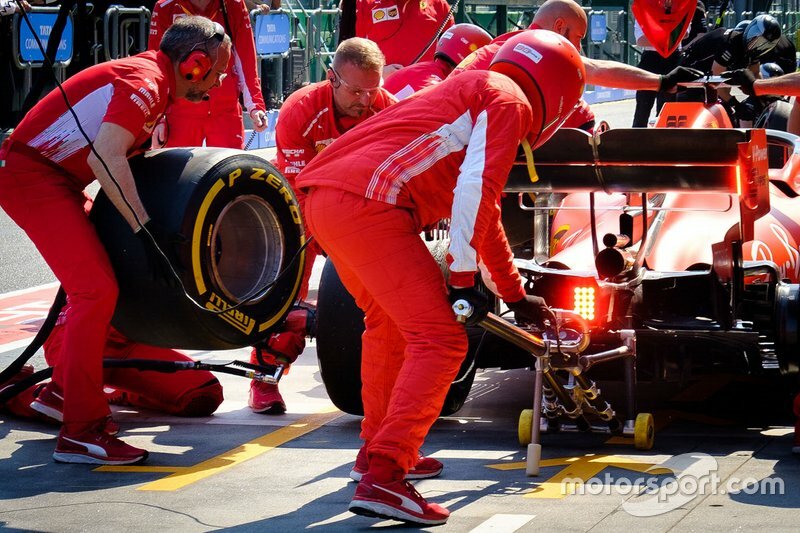 It's highly probable that these problems encountered by Ferrari are connected to the complications with the performance of the tyres, not only over a single lap but also over the course of a race stint. Unable to add any more front wing angle and obtain the optimum bite from the front axle, it left it with understeer, which, when it knew it was on its limit, it attempted to dial out by reducing rear-end downforce. Given these challenges, the Scuderia may have to go back to the drawing board when it comes to its front wing design for future street races. Perhaps it will need a design that is more akin to the one used by Alfa Romeo, forsaking some of the outwash effect for more downforce generating real estate. 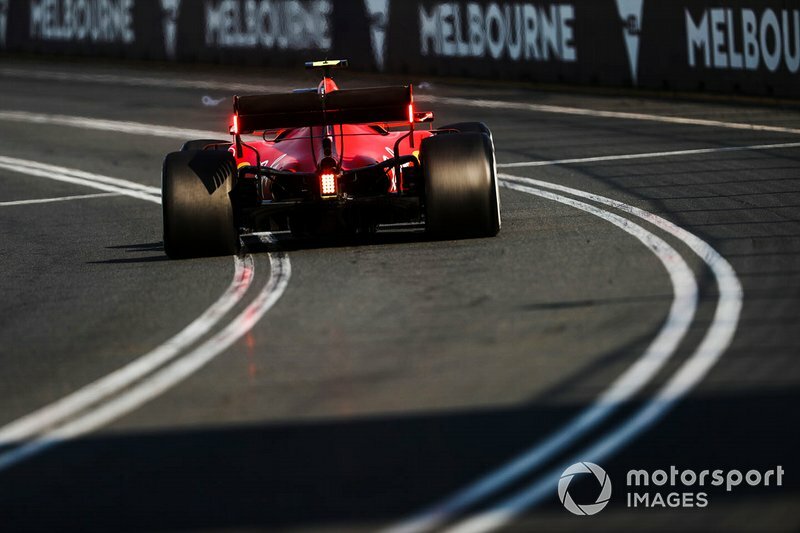 This issue may have left Ferrari in somewhat of a spiral, as it also meant that it couldn't get or keep the tyres in the optimum working range for the given compound either. 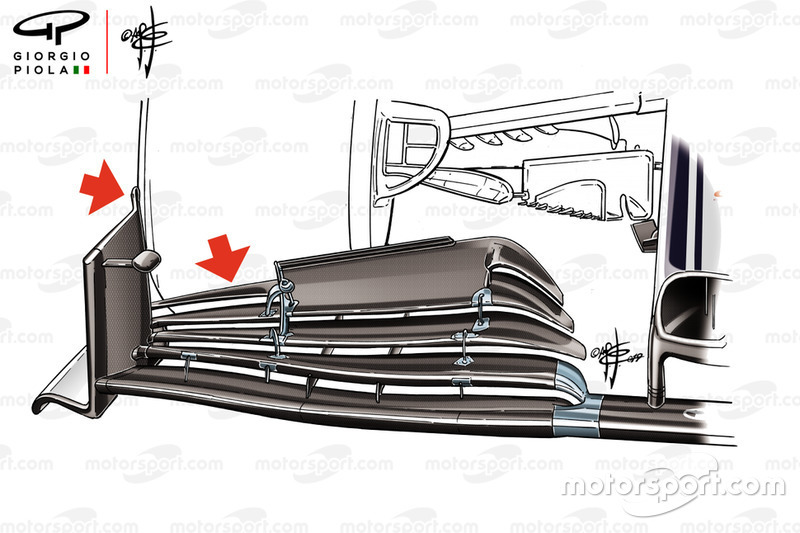 That may have prompted it to try to force Mercedes' hand strategically during the race. Sebastian Vettel was stopped early, at which point he was still in touching distance of the Hamilton, just 3.7 seconds adrift and attempted the undercut to gain track position. "The reason I was so slow in the race was mostly due to the fact that the car could not find enough grip with the medium tyres that we fitted at the pit stop". The medium C3 compound has a different working range to the softer C4 compound, 105-135ºC and 90-120ºC respectively meaning that they need to be worked a little differently to get the best from them in their performance sweet spot. 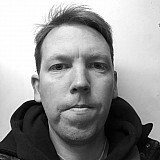 Stopping so early into the race, with the knowledge of having to potentially go to the end on those tyres, Vettel set about treating them with kid gloves, perhaps to the detriment of keeping them in the tolerances of their working range. Conversely by the time Leclerc made his second stop he'd already done a mammoth stint on the soft tyre but switched to the harder compound. 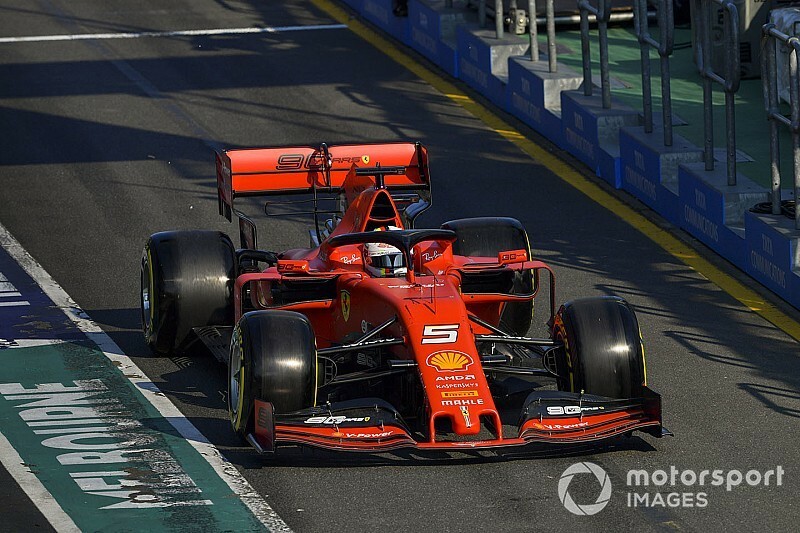 Leclerc also decided to take out one turn of front wing to balance the car but with a slightly higher but narrower working range than the medium tyre (110-135ºC) he was able to push the tyres from the get-go, which seemed to bring his SF90 to life. Able to lean on the tyres and reel in his teammate Leclerc was pretty pleased with the car in the last stint: "We decided to fit the hard tyres at the pitstop and, I have to say, that from then on, the car improved a lot and I was able to push". 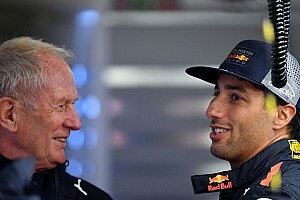 The team will be evaluating its operational response to this dilemma, and hope it only carries weight at similar bumpy, high downforce tracks in the future, as its power unit performance prompted some intrigue too. 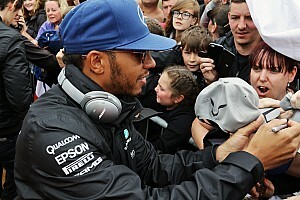 Both its drivers were effectively running different races, driven by the tyre factors already raised. But, Vettel's race had already started to unravel before Leclerc's race took off, with him unable to get on the power early, likely due to the understeer caused by their front wing drama. This element could have have a knock-on effect on Ferrari's energy recovery system. The onboard footage from Vettel's car shows how the German was struggling during the second stint, requiring a change in tact that saw him using a quite excessive lift and coast tactic into the corners. This may have been linked to energy recovery rather than a bid to save fuel. As the race went on, it appears this became more and more difficult, with derates clearly audible as the system could not keep supplying the energy demanded by the MGU-H and MGU-K. This will have hurt top speed. 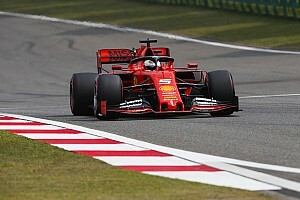 This exacerbated the problems at hand and allowed Vettel to slip back into the clutches of Leclerc, whose issues had subsided with the use of the harder tyre and allowed him to recover energy in a more conventional way, limiting his apex losses and generally being quicker on the straights. The concern for any Ferrari fan is that the issues seen in Australia could be indicative of the season ahead. Whilst it was clear that Vettel's second stint was abysmal, Leclerc's was actual pretty decent when you adjust his times for the hard tyre selection. This alone should allay any fears that people may have of a wider issue, and further embelishes the view of many that this was a one-off. But it does prove that the Scuderia is vulnerable under certain conditions and needs to prepare itself more effectively for the coming races. It also goes to show the tightrope that must be walked to keep these 2019 right within their operating window, be it from a tyre perspective or the power unit.